Wow thanks for subbing and sharing.. I love mysteries and I love Yuki's acting!! I never read Agatha's books though.. XD but now i'm watching j dramas based on her books!! (Nino's sp too). Oh, thank you so so much for this!!! 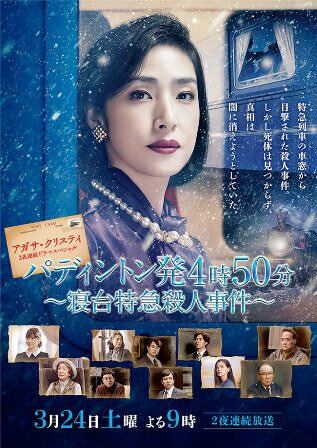 I love Agatha Cristie and I love the J actors in the SP, so I am seriously looking forward to watch this! Is there any way to get the subtitles for this drama now that DAddicts has closed? D-addicts hasn't closed. But you have to be registered as a member to access and get the subs. Thank you - I have just registered (I thought the site was no longer working! And thanks for producing the subtitles.